We’d love your help. Let us know what’s wrong with this preview of Men of Honor, Women of Virtue by Chuck Stecker. 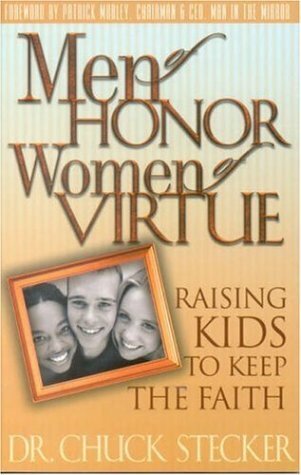 To ask other readers questions about Men of Honor, Women of Virtue, please sign up. A father's blessing and whole-family and whole church rites of passage. These and the distinction between adulthood (starting when able to reproduce life) and maturity (a lifelong journey), are some key concepts of the book.